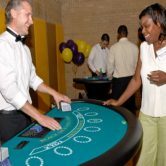 With a well-trained team ready to work with you side-by-side, Atlanta Casino & Poker Rentals is guaranteed to make your special event unique, memorable and stress-free. 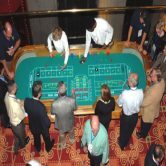 Our accommodating, knowledgeable customer service and superior equipment sets us apart from other casino event planners. 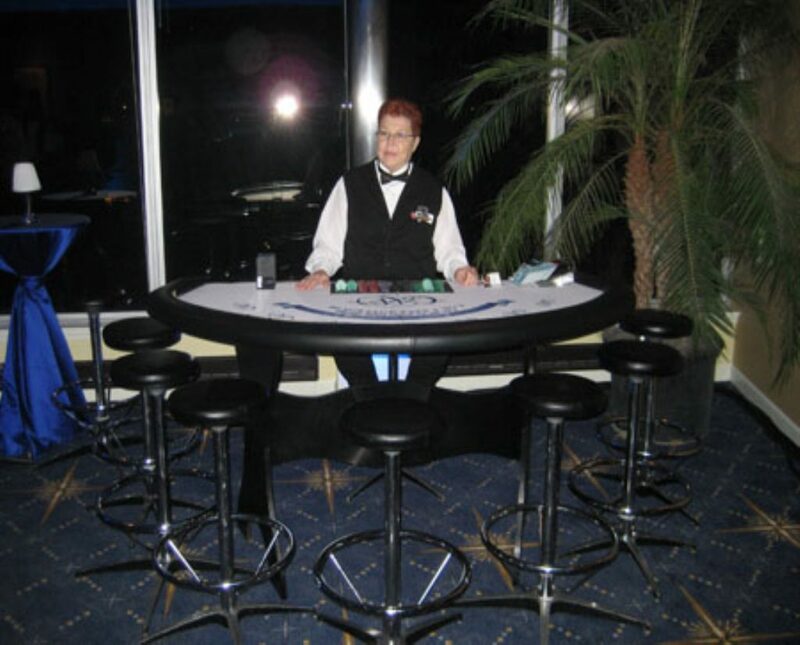 All of our casino-grade tables are made with wooden bases, double-padded, all leather armrests, and wool felts. 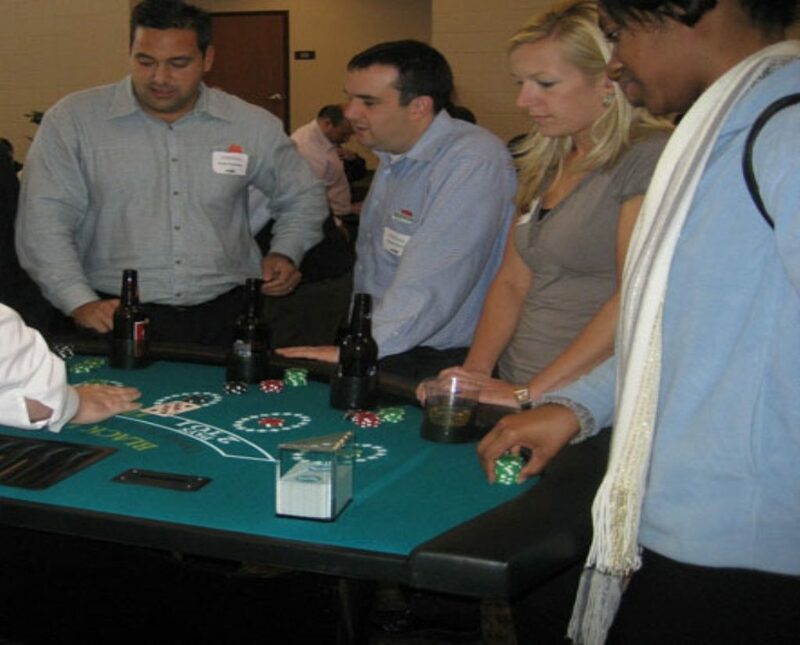 Our well-trained dealers are fun, interactive, and sure to keep your party going. 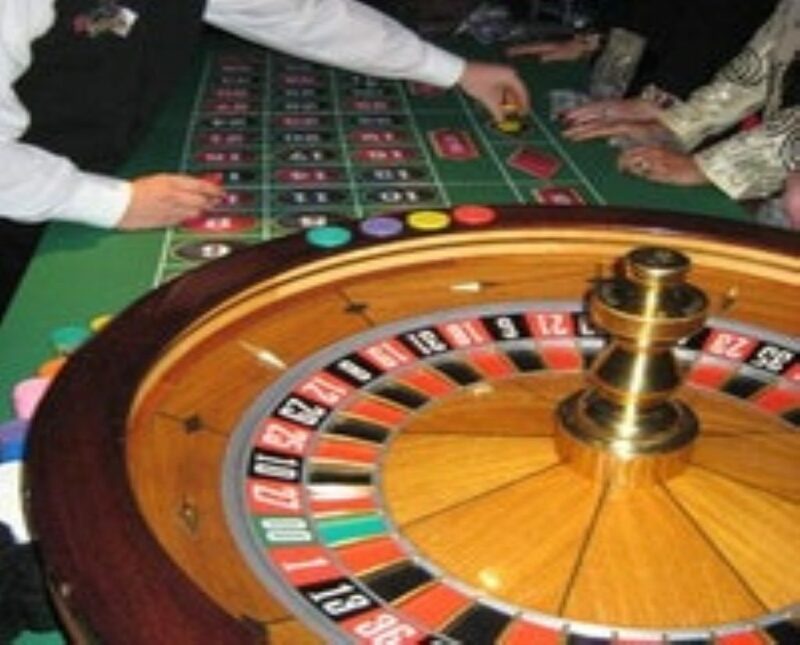 Whether your guests are beginners or high rollers, they will feel they’re getting a true “Vegas” experience. 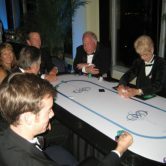 At Atlanta Casino & Poker Rentals, we have one goal: to provide an unforgettable casino event to you and your guests. Ready to get it underway? Call or email us for more info! 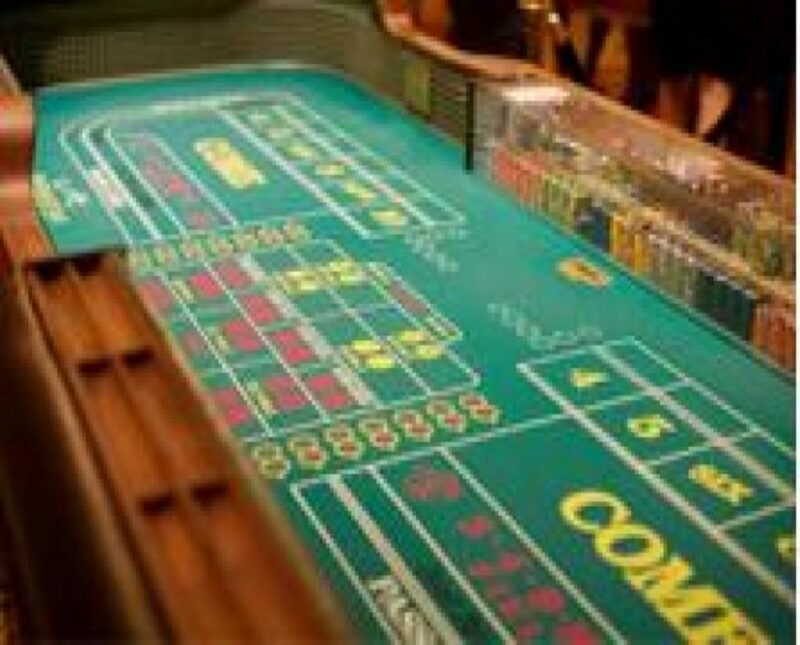 All less than three months old and in mint condition, our casino tables are truly top of the line. All of our tables feature solid wood bases, double-padded leather armrests, authentic wool felts, and two-inch cup holders. 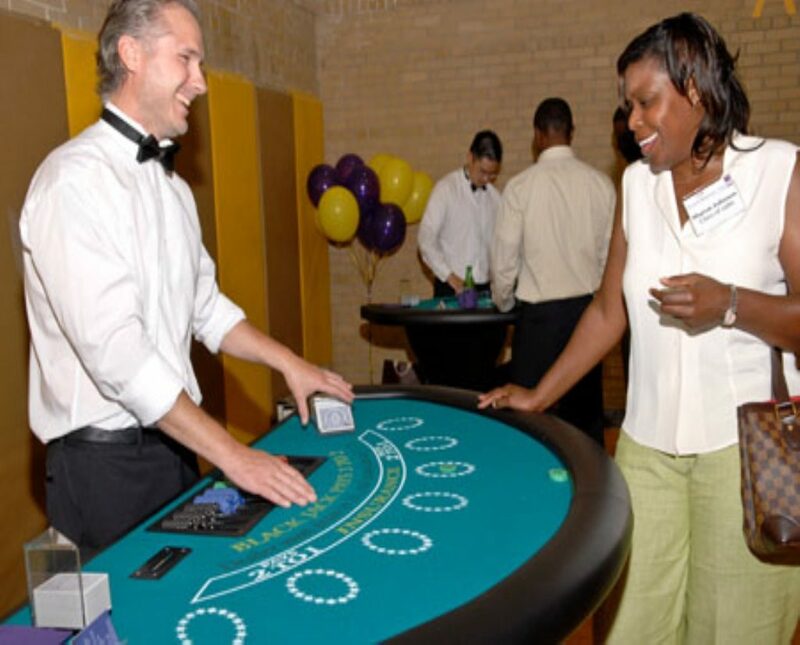 Our premium, casino-grade equipment is sure to impress your guests and create a true casino atmosphere. 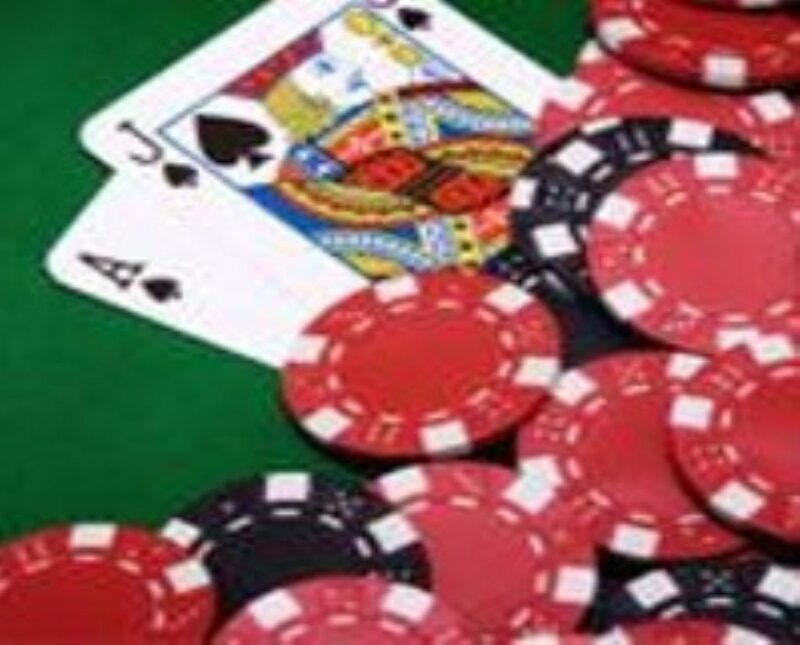 We offer Poker, Blackjack, Craps, Roulette, Slot Machines, Let it Ride, Pai Gow Poker, and Money Wheels. Call us, chat with us or request a quote today! 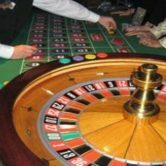 Do you feel that you need extra enhancing services to make your party stand out? Look no further! 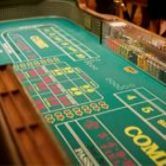 As a full service event planning company, we offer an array of services from Vegas-style showgirls, to bartenders, waitresses, and DJs, to help create whatever theme desired for our customers’ events. 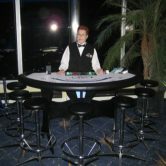 We also offer a variety of items including, but not limited to bingo rentals, cash cubes, PA systems, and raffle drums. 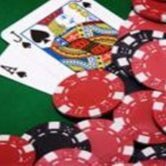 We make sure that at Atlanta Casino & Poker Rentals we provide all the extra services that can be thought of, and if we don’t provide the service already, we are happy to accommodate special requests. We recognize that every event is different, and our close attention to detail and quality assure that all of your needs will be met. 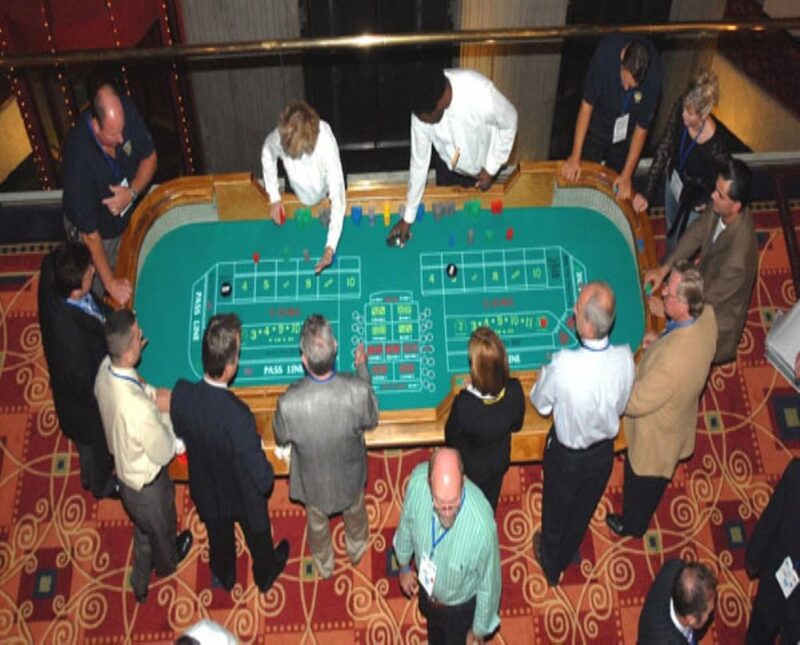 We can provide a complete casino experience for any number of people and any type of casino event. 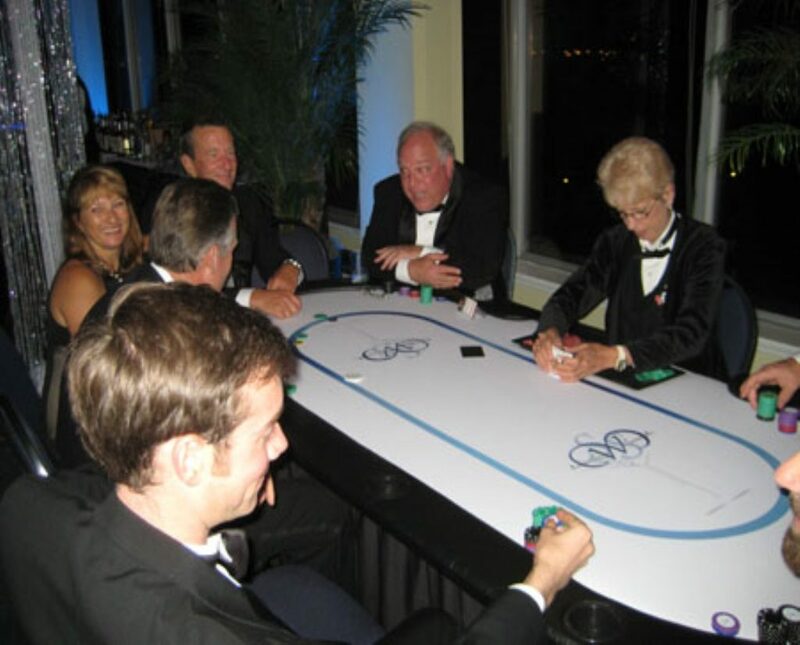 We’ve planned everything from corporate events and fundraisers to birthday parties, Bar and Bat Mitzvahs, Weddings, Reunions, and much more! Call or email us to request a quote and find out more info! Need a Quote? Have Questions for us? Fill out the form below, email or call us. 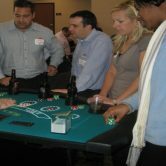 Our Casino Event Specialists will get back to you by the end of the next business day!